Well it's that time of year for many of us. Time to renew our insurance. A quick search of Full Time RV Insurance tells me it has been almost two years since there was an update on this topic so I am throwing it out there. Who are you currently using? Are you happy with them? How long have you been with them? 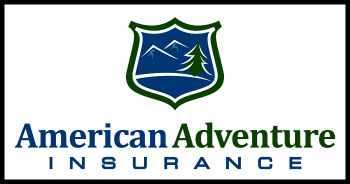 Are you buying directly from the insurer or an agency? Have you had the unfortunate need to use them and was the service good? If Your Dreams Don't Scare You...They're Not BIG Enough!!!! We've been using Progressive since we started in 2005 and they've treated us very well. They paid our large claim last year when we had a broken frame on our fifth wheel. And since we had a disappearing deductible that was zero at the time, we had no out-of-pocket on the repair. The service was excellent. When we purchased the motorhome, we again went with Progressive through Miller RV Insurance in Oregon. If changing companies or purchasing that first RV policy, I would highly recommend going through an agent that specializes in RV insurance. Because it's not something that insurance company employees and non-RV agents deal with every day, they don't always ask the questions they should and they don't always have access to special programs available for RVers. And RV specialists will understand the needs and quirks associated with full-timers. Once you have a policy in place, then you can easily renew directly with the company if you wish. Mike, except for recommending Miller I don't want to repeat everything Howard said. But to emphasis one point - Not all insurance agents have access to all products (policies) available from any given underwriter. We found this out first hand when we found a much - significantly less expensive - policy from Progressive via Miller which offered us better coverage then we could get from Progressive via our local agent. Our local agent said he had access to any particular policy of interest to RVers. He didn't have said access. Never heard of what we were talking about. We ended up paying far less even with our more expensive MDT truck and trailer then we did with a Class III "pickup." Naturally some of this depends on your state of residence. Just a comment should be helpful. Just to dove tail on Bill’s comment on state of residence, presently we are insured in Oklahoma but when I told Miller that I would be moving my residency to South Dakota, I was told I would see a substantial decrease in premiums. Simply, another one here to recommend Miller Insurance in Oregon as a broker. We too are pleased w Miller agency. I have not used Miller but have used Progressive Direct for our Fulltime RV insurance for sometime now. Recently had our first claim with Progressive on the RV due to something flying out of a pickup truck in front of us when on the highway, hitting our Trailer and doing quite a bit of damage, we were very satisfied with how the claim was handled. We just bundled our Car and Truck with them and saved quite a bit more money. Highly recommend Progressive for Fulltimers Insurance. We have been with Progressive for a number of years as full-timers ourselves. We used Miller as a go between for a while then went direct with Progressive after a funky episode when Miller had us contacting Progressive directly when we needed to suspend service on one of our rigs so decided what the heck, just stay direct. Now we are switching rigs and need to insure a Ram 5500 which has proven to be a challenge through Progressive going direct so I called Miller and they made things happen so it looks like we will be going through Miller again. Another fulltimer here with a vote for Miller Insurance! Our domicile is Florida, where we spend winters, yet we travel most of the year. Miller did not recommend Progressive to us but we still went with the insurance company they offered the best full time coverage with. Rate will depend on your domicile state for sure as well as you choices of insurance companies. The people at Miller know their stuff! I would not use Progressive due to a previous experience ... plus I attended a Harvard Business Review lecture that extensively covered Progressive’s much touted “we tell you their prices, even if they are lower than ours” pitch. Suffice it to say that no Insurance Company has any personal attachment to any customer, regardless of how “loyal” that customer has been. I would use Miller however. What RonC said! Or maybe just a quick, OK maybe not so quick, story about insurance companies. I have been with the same insurance company since I was 23 years old, I'm now old enough to collect social security, so do the math. A couple of years ago my car was attacked by a locally abundant ungulate commonly known as a white tailed deer. I filed a claim with my insurance company. The estimate I got from my body shop was in the neighborhood of $4,000. The company refused to pay it. Now, I currently pay this insurance company somewhere in the neighborhood of $7,000 to $8,000 per year in premiums for auto, home and rental property insurance and this claim was around half of that amount. It seems to me they would want to keep me happy as I believe this is just the 4th claim I have had in 40 years and all of them together total one year's premium. But no, they wanted me to use what the industry claims are LKQ or "Like Kind and Quality" parts instead of OEM parts. Another name for LKQ parts is generally Chinese junk. I didn't bite. Granted this was on an, at the time, 8 year old car but it was in very good shape, still is for that matter. To shorten a fairly long story I finally got frustrated and wrote the president of the insurance company. A few days later I got a call from someone at the insurance company and he told me that if my body shop said that LKQ parts weren't as good as OEM parts they would put OEM parts on the car. Well there's not a body shop that I know of that would rather deal with LKQ parts than OEM parts because they spend way too time fitting LKQ parts to look good. I now have OEM parts on my car. I guess the moral of the story is that I don't believe that there is an insurance company out there that really gives a rat's you-know-what about the customer when they need them to make good on their policy. I am still with the same company but I am not nearly as loyal as I once was, and if a good deal comes along I'm probably gone. So my advice is buy on price because I don't really think any of them are any good any more on the claims side.